We are committed to providing a high-quality service to all of our members and customers. When something goes wrong, we need you to tell us about it. This will help us to both address what has gone wrong and to improve our standards. If you have a complaint, please contact us in writing with the details. To help us undertake our investigation, it will be helpful if you can provide as much detail as possible at this stage. You must provide your name as we will not deal with anonymous complaints. In addition, any complaints that are considered to be vexatious or of a repeat nature will not be considered. We will acknowledge receipt of your complaint in writing within three working days of receiving it, enclosing a copy of this procedure. We will then investigate your complaint. This will normally involve passing your complaint to the Executive Director responsible for that area of business, who will carry out a review. If the complaint relates to the actions of an Executive Director, the matter will be referred to one of the other Executive Directors for review. If the complaint relates to the actions of the Chief Executive, the matter will be referred to the Deputy Chairman or Immediate Past Chairman of the Association for review. Within 14 working days of sending you the written acknowledgement, you will receive details of the initial investigation into your complaint and we will give you the opportunity to comment or provide us with any further information. We will send you a detailed written reply to your complaint within 28 working days of sending you the written acknowledgement. At this stage, if you are still not satisfied, you should contact the Chief Executive, who will undertake a further review of the decision or arrange for someone unconnected with the matter to do so. If the original complaint was made against the Chief Executive, you should contact the Chairman of the Association, who will undertake a further review of the decision or arrange for someone unconnected with the matter to do so. We will write to you within 14 working days of reviewing the decision, confirming our final position on your complaint and explaining our reasons. If you are still not satisfied, you should contact the Chairman of the Association within 7 working days of receiving our confirmation of our final position and explanation, who will carry out a final review and either uphold the decision or make a further determination, which shall be final. 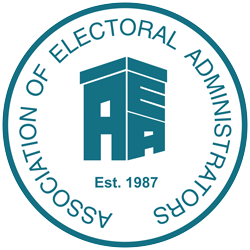 Please send your complaint by email to the Executive Director (Resources) at gina.armstrong@aea-elections.co.uk.